Golf, Jetta, GTI. Cabriolet. Corrado. 4 cylinder. From f15j015001. 1980-93, with ac, from 1/88. Gas engine, without 16 valve. Without 16 valve, from 12/31/87. 1.8L, upper, without gli 16 valve. 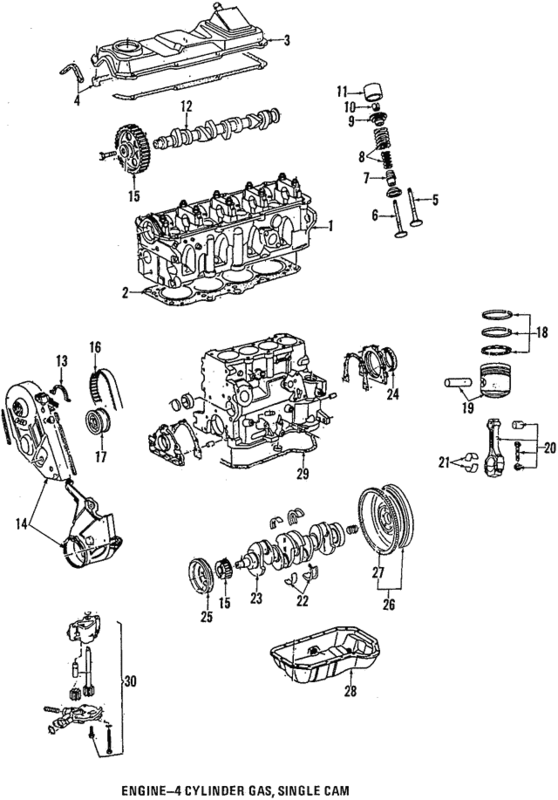 Applications: 4 CYLINDER GAS SOHC. 4 CYLINDER GAS, SOHC.